pH is the unit of measurement of how acidic or basic something is. This means to measure pH levels, one is really measuring the number of hydrogen ions present in a certain substance. 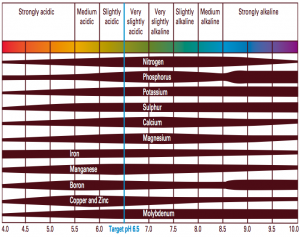 The pH scale ranges from 0-14, with measurements of 0-7 being acidic, and measurements of 7-14 being alkaline. Managing pH levels within an aquaponic system can get a bit tricky because there are three different organisms that must be considered: plants, fish, and bacteria. 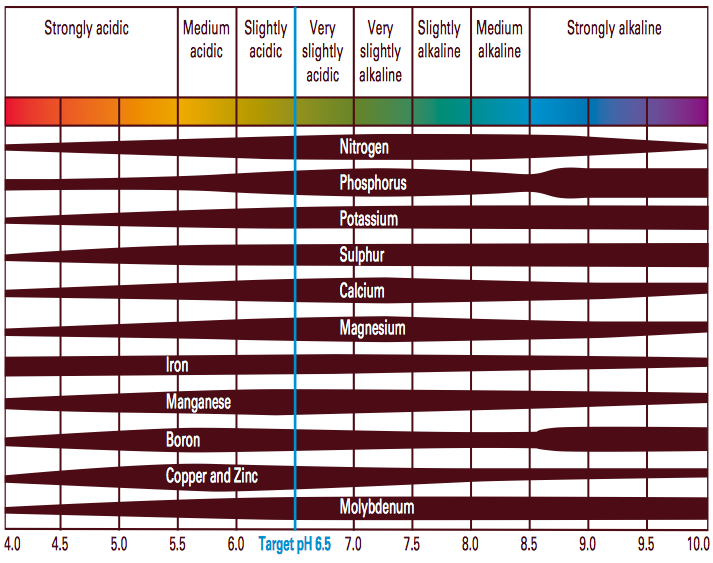 Each one prefers a slightly different range of pH, so it is vital to keep your system in the ideal range. Fish and bacteria prefer a slightly alkaline environment, while plants prefer it be more acidic. This means the optimal range for most aquaponic systems is a pH of 6.5-7.0. There are two different ways pH can be measured. The first, least expensive (yet less-accurate) option is pH test strips. They are easy to use in a classroom environment, but because the reading is based on a subjective color scale, readings can mislead one to think the pH is too high or too low. This becomes a problem because it can lead to unnecessary actions taken in order to lower or raise the pH when none are needed. Test strips can be found at nearly any pet store or online. The next option is to use a pH meter, which is much more expensive yet very accurate. If you have a large-scale system, this may be a better option for you. pH meters contain probes that must be kept wet at all times or else they will be damaged. If you are using a meter in a classroom environment, make sure to educate students on the proper care/use of the probe. You can purchase a pH meter here. Whether you use tap or well water to start your aquaponic system, there is a very high chance that the pH of the water will be slightly above 7.0. This is higher than the optimal level, but do not worry! Remember, fish and bacteria enjoy slightly more alkaline pH levels, and they are the most important organisms to consider at the beginning of your system’s life. As the system starts to run, a nitrogen cycling (or “cycling”) ensues. Your primary goal during this time is to make sure your nitrifying bacteria are thriving and your ammonia and nitrite levels don’t become toxic to your fish! This process relies solely on the relationship between the fish ammonia (poop) and the bacteria, so this is a time where it is okay to have a slightly higher pH (between 7-8). Once the nitrifying bacteria is prominent and the nitrogen cycle becomes fully established, the nitric acid produced from this process will naturally lower the pH of your system over time, creating a healthy environment for your plants, bacteria, and fish! 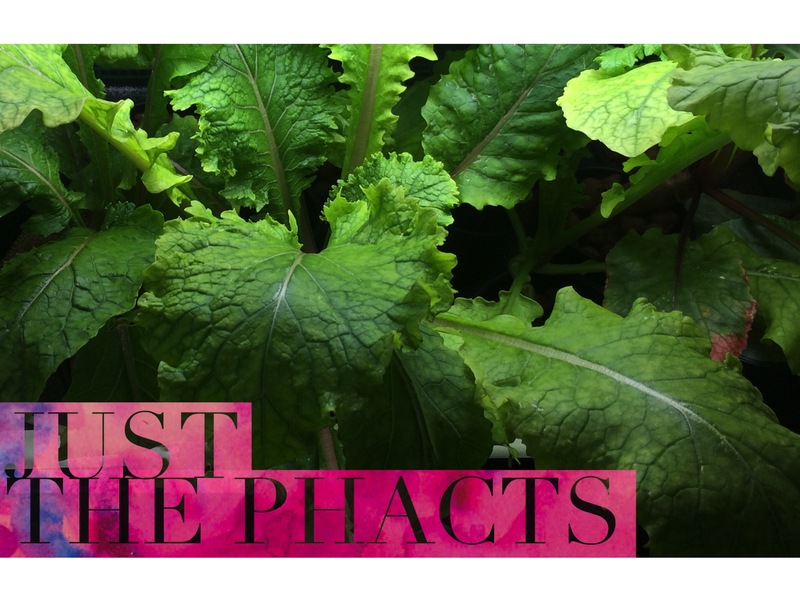 Most plants prefer pH to be around 6.5 in order to increase uptake of nutrients in the water. If you are not using distilled water to set up your aquaponic system, there are bound to be some salts and minerals dissolved into it. The amount of solids dissolved into the water you use dictates the level of water hardness. The higher the concentration of these salts and minerals in the water, the “harder” it is. There are 2 different types of water hardness that can be measured: carbonate hardness (KH) which is essentially the amount of buffering capacity the water has, and general hardness (GH) which stands for the amount of magnesium and calcium ions present in the water. Why is water hardness relevant to a system’s pH levels? Carbonate hardness can dictate the buffer potential for a system. A buffer solution is one that keeps the pH at a level value, even if small changes are made to the system. Buffers are beneficial to an aquaponic system because although fish can handle pH levels that are a bit off, they will die if the change is abrupt and too dramatic. Buffers also play a large role in maintaining the health of the bacteria in the system. If the carbonate hardness is too low, this can result in an extreme lowering of the pH, which will in turn kill off the bacteria and stop all biological filtration. The last reason it is important to maintain a buffer in the system is that you will not have to monitor the pH as much since there will not be major swings throughout the day. Keeping your carbonate levels up will not only benefit the fish and bacteria in your system, but will also keep pH maintenance less of a hassle for you! The optimal KH level for an aquaponic system is anything above 4.0 to ensure a high buffer potential. You can measure the KH value of your system by using a designated test kit that can be purchased here. If the system falls below 4.0 dKH, you can raise it by adding 2 ½ teaspoons of sodium bicarbonate (baking soda) per 100 gallons of water. Although using a buffer is a good way to regulate pH, there will likely be times where the pH is too low or too high. These problems can be fixed very easily. pH is too low: In order to raise the pH, add “pH up“. A combination of calcium carbonate and potassium carbonate in equal amounts is another option. Carbonates are a good way to raise pH because they are not caustic and they will add to the strength of your buffer. These substances can be purchased here and here. pH is too high: To lower pH, add “pH down“. Phosphoric acid is also an option because it is safe, effective in lowering pH, and it adds phosphate into the system, which in turn will benefit your plants. This acid can be purchased here. Note: Never add vinegar (too weak) or citric acid (anti-bacterial/herbicide) to lower pH.